BEST affordable Amazon fashion finds delivered lightning fast to your doorstep! 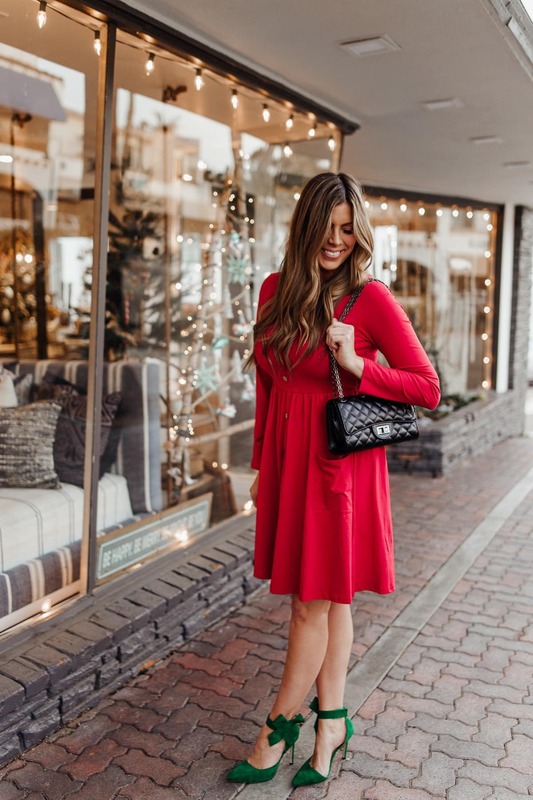 Tis the season for tinsel, mistletoe, gift giving and finding an excuse or two to dress up a little extra, but let's be honest, sometimes it's hard to find extra cash for holiday outfits in your budget OR extra time in your calendar to shop storefront to storefront for the perfect holiday outfit, right?! Amazon to the rescue!!! Today I'm sharing some favorite Amazon Fashion finds that are a) pretty affordable and b) will pop right up on your doorstep faster than Santa's sneakiest elves. Can you believe I pieced this entire outfit together without spending more than $40 on any one item?! One of my go-tos for finding reasonably priced items that arrive within two days? Amazon, of course! I love how fast everything arrives. Sometimes I've even found same-day delivery available on items I'm shopping. Jackpot! Another perk of shopping on Amazon is how thoroughly most things are reviewed. This is important especially if you're looking for clothing, since sizing and quality can vary so much from brand to brand. Tons of people will post about if items run true to size, how they fit, and they'll sometimes even include pictures. It's so helpful! I rely on those reviews big time when I'm shopping online, whether I'm browsing designer name brands or smaller labels. THIS. DRESS. You guys. This dress is so affordable you won't even believe it! It comes in several colors, has roomy pockets, it's stretchy and comfy and has really sweet button details down the front (although heads up, the buttons don't actually open, so I wouldn't call this a nursing-friendly option!). I was blown away by how comfortable and flattering this holiday dress was at such a great price point. You'll be tempted to order in multiple colors…I actually got it in navy blue too! 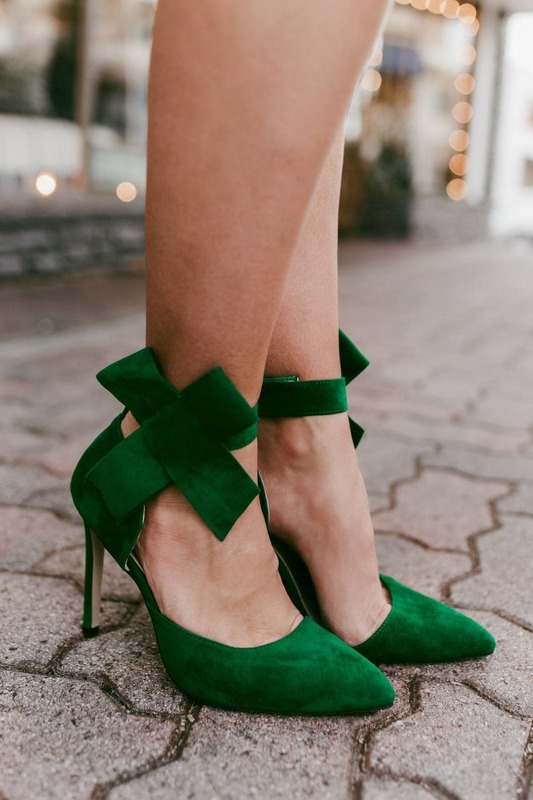 I have loved these bow heels for a few years now! They're so, so festive with the bows at the ankle, and I just adore them for dressing up a more casual dress like this one. These are one of those amazing finds that look high-end and will get tons of compliments and no one will know you paid less than $40. This is definitely the best option I've seen if you want that iconic Chanel look at a completely doable price point. I love this bag for holiday parties and date nights when you just need essentials. It's a designer look that you don't have to spend thousands of dollars on! While you know how much I love designer clothing, I am just as happy when I can find wallet-friendly wardrobe pieces to share! Amazon is totally stocked with items at every price point to wear and love all season long, so it's great for building your own wardrobe or finding items to gift for someone you love. Thanks so much Amazon Fashion for sponsoring this post!